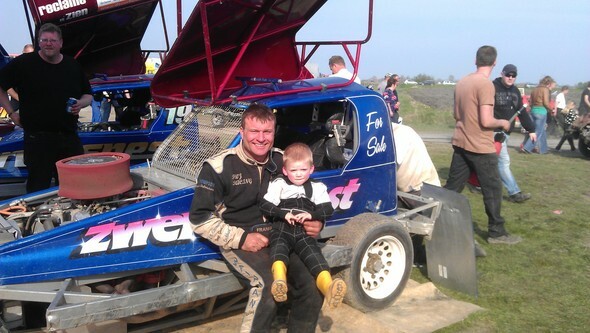 William Hodges is four and a half and this was his first visit to a F1 stock car meeting. 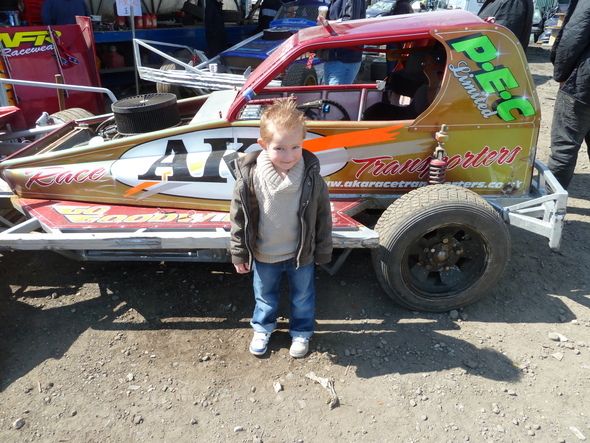 Lewis Smith is 4 and he is an avid stock car fan. 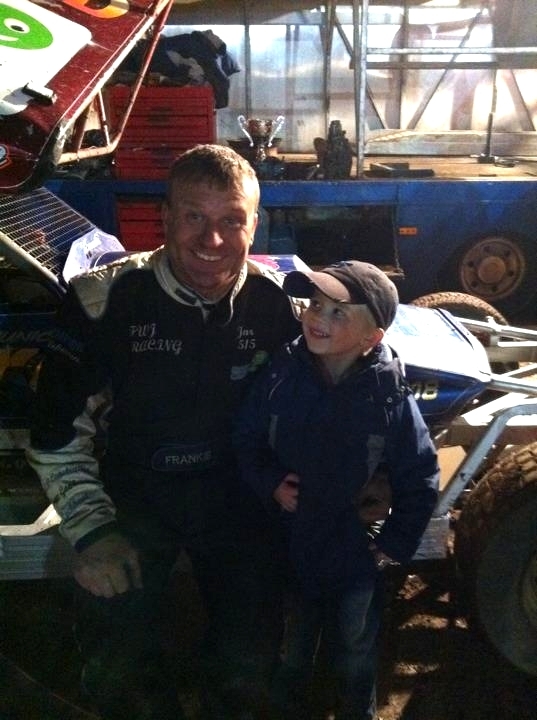 He loves watching his Dad’s copy of Gears and Tears and talks about the day when he turns 10 so he can start racing ministox. 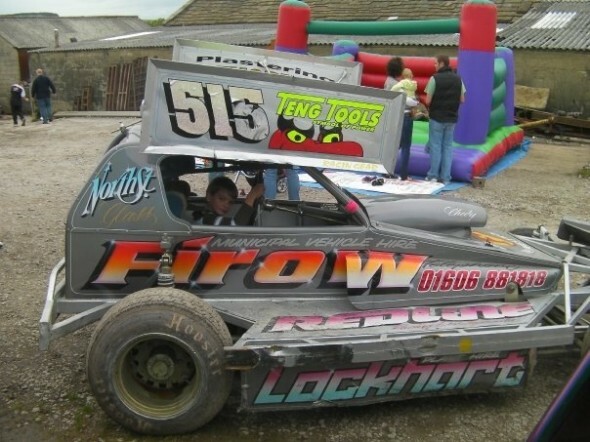 He plays with his toy stock cars and has a Frankie Wainman car, Frankie Wainman Jnr car and a Frankie Wainman Jnr Jnr car and can often be heard shouting the names from his bedroom whilst re-enacting meetings. 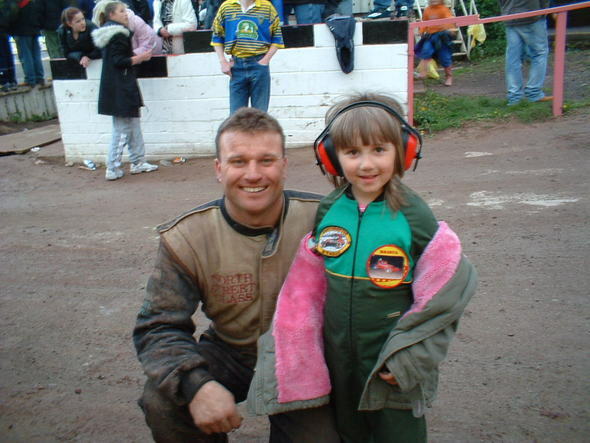 Rosie Latham, age 4, is from Stoke on Trent and has become a firm Wainman fan, particularly the pink car! 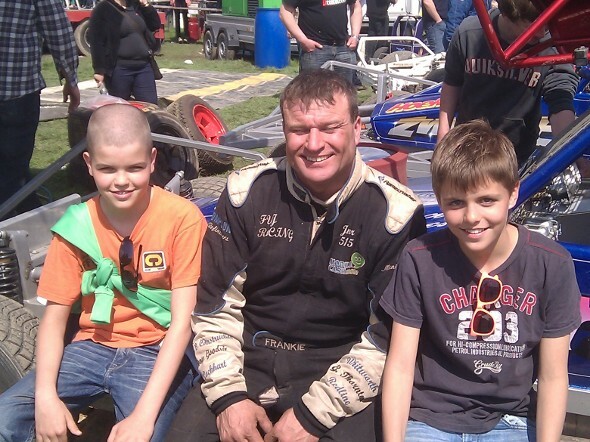 Luke and Axel Groszpietsch with Frankie at Blauwhuis.Their dad Wim says this photo will be a trophy in their bedroom. 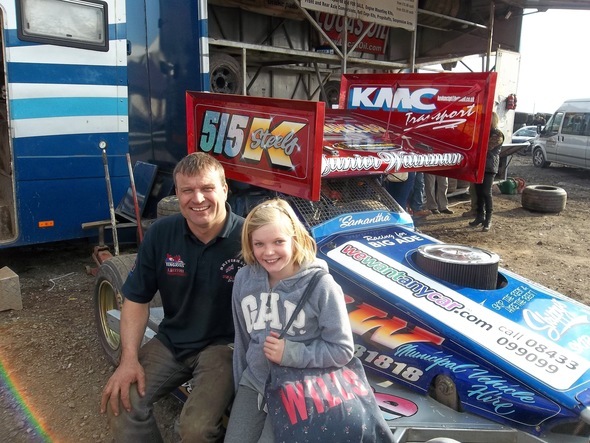 Lucy Brown is the daughter of Tony Brown (344) and a big fan of Frankie. Aaron Hatcliffe, from Flixton, Manchester. His day spent at the farm is a treasured memory! 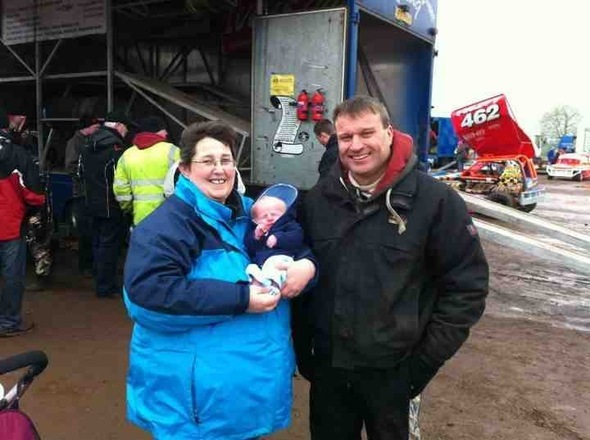 Daniella Makinson is from Blackpool and has lots of pictures of her with Frankie and Danny. 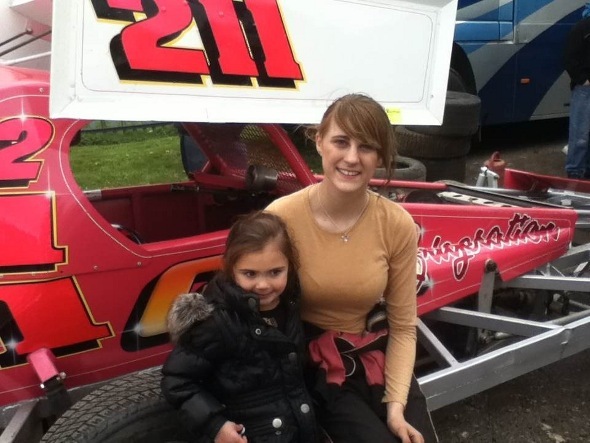 Femke Smits must be the only 5 years old in the Netherlands to have her own stock car. 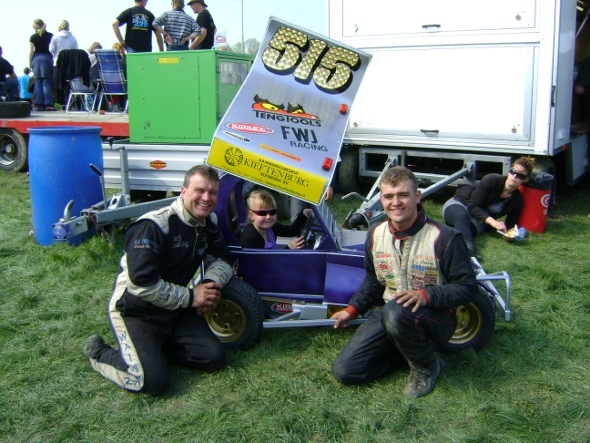 Frankie and Danny were very impressed when she brought it to the meeting at Blauwhuis. 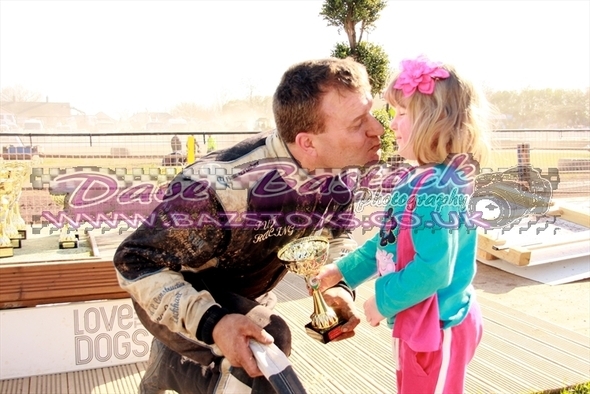 Jessica Haywood was very pleased when Frankie gave her his trophy at Belle Vue earlier this year. She even took it to school and stood in front of assembly to tell everyone how she got it! This is Jochum Schotanus with Frankie at Blauwhuis. Joshua Frankie Joe Caley at his first ever meeting. 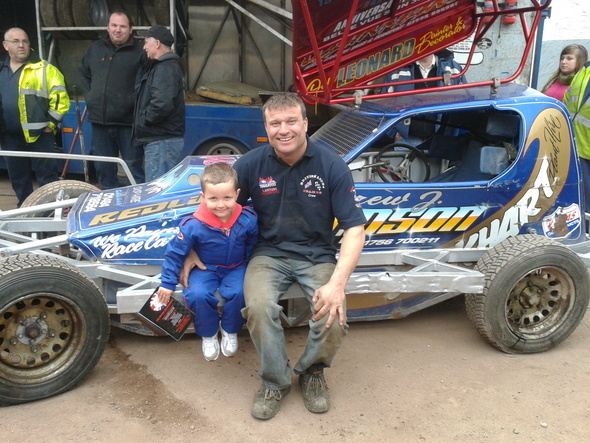 If you’d like to appear on a future edition of Featured Fans, then email your photo to wainmanracing@gmail.com. Please put ‘Fans’ as the subject, and remember to tell us something about yourself!